It’s Pride Week in Helsinki. My husband and I will be there to march and show our support and allegiance with not just Finnish but all lesbian, gay, bisexual, transgender and intersex (LGBTI) individuals during a week we’d rather be celebrating marriage equality for all. Alas, Finland has yet to adopt a measure which would allow all couples regardless of their genders to marry legally. Now, more than ever, it seems crucial that we do something, anything, to show our solidarity with all LGBTI communities. We unequivocally support everyone’s right to love who they want and to show that love for one another openly and without fear of being persecuted. Love is love. It’s a thing of beauty in its many varied forms, shades and expressions. And, the world and all of us could benefit immensely from a bit more love and a lot less contention and hate. But, as we in much of Western Europe and North America works towards marriage equality, LGBTI communities in places like Uganda, Jamaica and Russia among far too many others face situations much worse and far more dangerous. The reality in these contexts for individuals suspected let alone known to be gay, lesbian or transgender is akin to what I’d imagine is hell on earth. There is an element of extreme hatred towards LGBTI communities, where violence and criminal prosecution for simply existing are daily realities. And, yes, LGBTI individuals fear for their lives. What does this have to do with me? Well, my fellow countrymen are complicit in creating these realities. It goes without saying that I do not support their actions nor their efforts and will do what I can to call them to account. God Loves Uganda tells the story of how American evangelicals, primarily those affiliated with the International House of Prayer (a more sinister use of the acronym IHOP), work to ‘spread the good news’ to Ugandans (and others further afield). Unfortunately, rather than spreading messages of loving they neighbour, the growth of evangelicalism in Uganda seems to be fanning the flames of hatred and bigotry. Essentially, interpretations of Biblical dogma legitamize and grant licence to allow hate, violence and in extreme cases death to individuals identified as LGBTI or their allies. During a two-conference lead by Americans in Kampala in 2009, my fellow countrymen provided justification and fodder which ultimately resulted in a law which would make homosexuality a criminal offence. It’s sick. And, quite frankly, the worst sort of application of religion possible. In all honesty, I’m struggling to describe the film in a way that isn’t just as hate-filled as the rhetoric it captures. Perhaps it is because it is Pride Week here that we feel compelled to act and even more motivated to voice our allegiance. 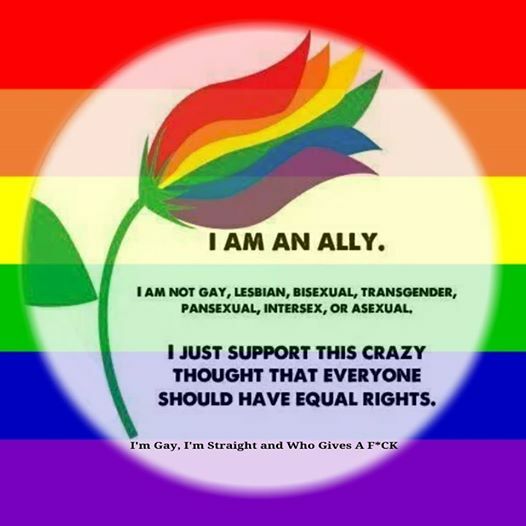 As an American and as an American who grew up in a relatively conservative Christian household, I find myself particularly proud to be an ally. I am not, however, proud that it is necessary.